The presidential election of 2000 still makes me angry. Mostly that’s because of the grotesque way it ended, with five Republican-appointed Supreme Court justices shutting down the Florida recount. But partly that’s because of the liberal apathy that first put the outcome into doubt. Throughout the campaign, plenty of liberals told themselves the election didn’t really matter, because the differences between the two candidates weren’t that stark. A few of them even voted for Ralph Nader. Those votes were more than enough to change the eventual outcome. History proved that these liberals were wrong. 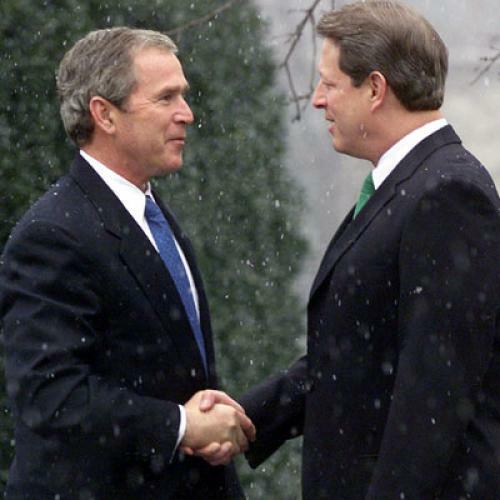 By any reckoning, the last decade would have been radically different if Al Gore, not George W. Bush, became president in 2001. And I’d like to think liberals will remember that in 2012, when the choice is between President Obama and the eventual Republican nominee. But I’m not sure they will. I certainly hear and read many smart liberals upset with President Obama, for things he’s done and (more frequently) for things he hasn’t done. I’m not sure how much they speak for liberals generally, but in a close election, like the one we’re likely to see in 2012, even modest changes in enthusiasm could change the outcome. That is why I hope every progressive and, really, every concerned citizen will read the latest issue of the Washington Monthly. The new cover package, online today, paints a picture of what the future will look like if a Republican becomes president in 2013. And the picture is not pretty. Republicans will repeal the Affordable Care Act and decimate the Environmental Protection Agency, exposing tens of millions of Americans to crippling medical bills and the entire country to more hazardous air and water. The conservative takeover of the courts will resume and the effort to regulate the financial industry will stop in its tracks. …as you listen to Mitt Romney and the rest of the Republicans as they debate and make speeches and release policy papers, don’t assume that it’s all meaningless, empty rhetoric that will be dropped once the campaign is over and governing begins. Don’t assume, either, that since the Republican nominee will no doubt move (rhetorically) to the center after clinching the nomination, specific pledges made in the primary season will be left behind—remember the story of George W. Bush and tax cuts. The truth is that careful observation of the candidates really can tell us a good deal of what they’ll do—and what they’ll be like—as president. Update: Readers are having a terrific debate about these issue in the comments section.